Olsson, R.K., Berggren, W.A., Hemleben, C., and Huber, B.T. 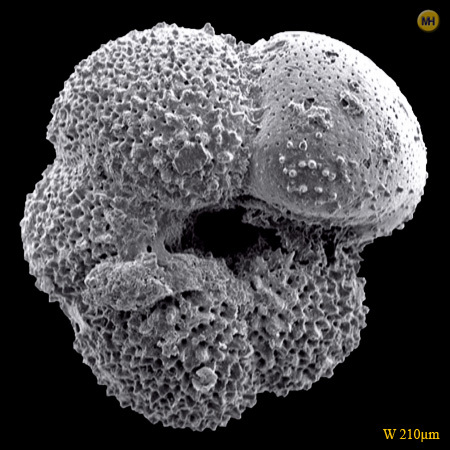 (editors), 1999: Atlas of Paleocene Planktonic foraminifera. in Smithsonian Contributions to Paleobiology, 85 252 Plate 43, Fig. Hesemann, M., 2019: Acarinina strabocella (Loeblich and Tappan, 1957). In: Hesemann, M. 2019 Foraminifera.eu Project Database.